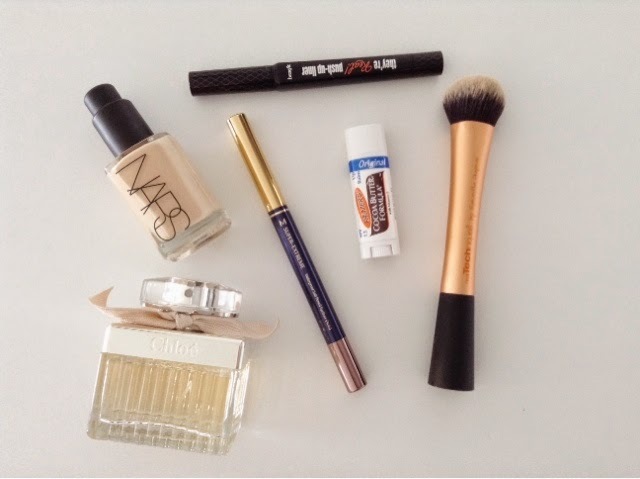 Here are my current beauty favourites to share with you all. Since doing daily papermasks for the last 8 days my skin is super moisturised and pumped up that I can actually use it! I brought it for my wedding abroad last year and it was perfect but in the UK we have heating on all the time the foundation shows up my dry skin so I rarely use it. This is so smooth and easy to apply, highly recommended for those who are no good doing the eyeliner. I have read mixed reviews on this but I really like it. It's so much easier than pot / brush and iam so lazy washing the brush all the time. I tend to use my Missah eyeliner then apply this on top since iam rubbish drawing lines. What can I say...this is cheap and long lasting with no fall out. I have been using this for 2 years and it's still in excellent condition. I dont think you can ever go wrong with RT brushes really, they have great long lasting power and fantastic quality. As for the Missah eyeliner, I might have to give that a try asap! It sounds like it'd really help me out haha. I too have heard many mixed reviews for the Push Up liner. Myself am a little skeptical as to how well it would work and am one of the 'if its not broken, dont fix it' type of people!